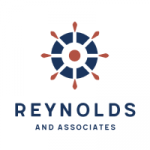 Reynolds & Associates, PLLC is an independent accounting firm in the Houston, TX area. They specialize in tax preparation, consulting, personal accounting, bookkeeping, and various types of engagements including reviews, compilations, and financial statement preparation. Work For Reynolds & Associates, PLLC? Claim This Page.